The celebration of Valentine’s Day originated as a remembrance of a martyred Catholic priest in Rome named Valentine. Accounts say he defied Emperor Claudius’ edict, forbidding men to marry so they would focus on military service, instead. Valentine married young love birds anyway and was beheaded on February 14 in AD 269. Like most holidays, this celebration has turned into a marketing boon of mass-produced sentiment sold as cards, flowers, and chocolates. But love is much more than can be tasted with candy or seen in the movies and read in a romance novel. We can understand God’s intention for love by looking at it in His holy language (lashon hakodesh), Hebrew, and in Scripture. Hebrew is one of the most ancient of languages — so ancient that Jewish literature describes the creation of the earth using this language. Because it is a foundational language to the ancient world, it can give us great insight into the meaning of love. 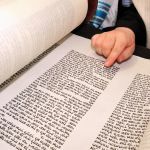 In fact, much rabbinical interpretation of the Bible comes from observing the relationships between root words. 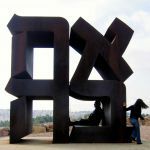 Let’s look at the Hebrew word for love — ahava (אהבה), which is made up of three basic Hebrew letters: aleph (א), hey (ה), and vet (ב). From these three root letters of a-hav-a, we get the root word, hav (הב), which means to give. 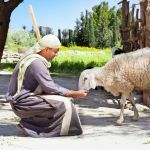 This Hebrew word contains a tremendous truth: giving is fundamental to loving. 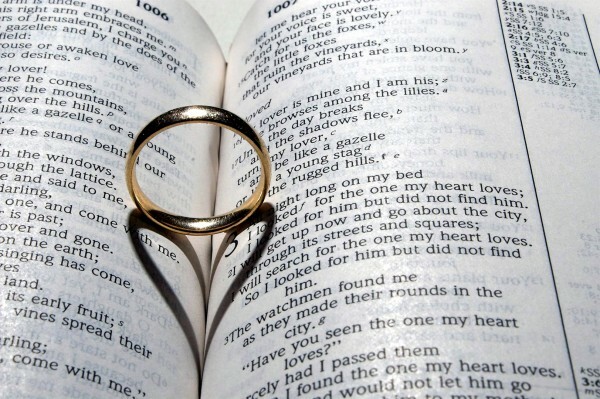 The love relationship between a husband and wife is to be that of giving — each to the other. The more we invest of ourselves in our partner, the stronger the connection and the deeper the love. This entails words of affirmation, acts of service, giving gifts, physical touch, and the giving of quality time (The 5 Love Languages). When we share those things that are beneficial to ourselves with our loved ones, the relationship strengthens. 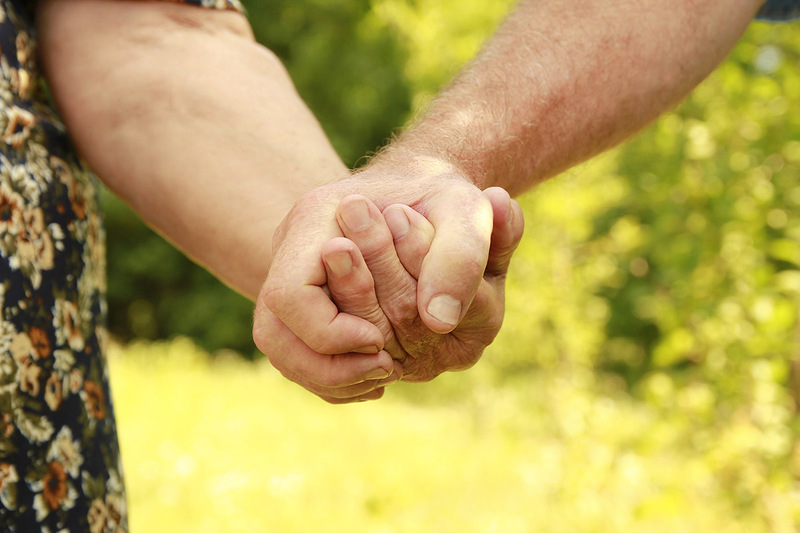 When we invest enough effort to come to understand and honor the needs of our partner, the relationship progresses. In other words, giving sustains the love relationship. Another Hebrew word for giving is natan, which is spelled nun (נ), tav (ת), nun (נ). This word reads the same backward or forward, forming a love circle of sorts, for when we give we always receive in return. The essence of ahava involves action. Since we have no control over the other, love does not begin with the other person; we need to begin with ourselves. So, if we truly want to be loving, the first thing we need to do is to examine ourselves to determine where we can make improvements. With this in mind, we might take the following approach to liven up our marriage: instead of waiting for our partner to do more, we could take the first step by, for example, being more giving and attentive to the needs of the other. 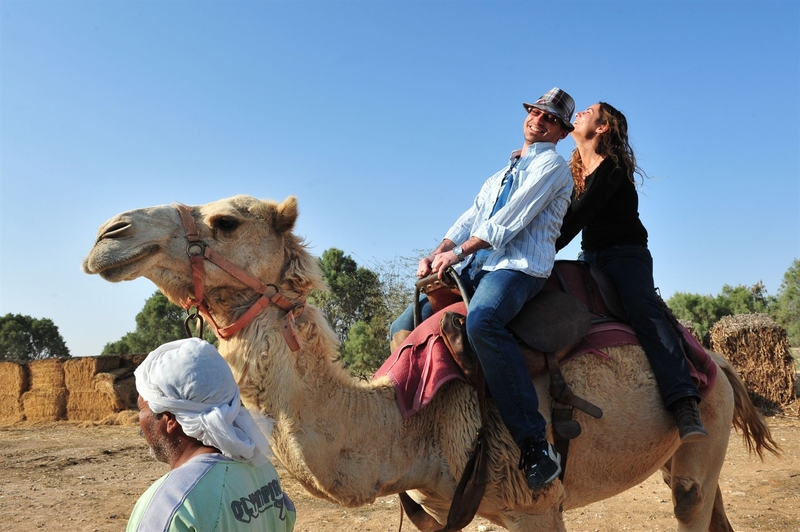 A husband and wife enjoy a camel ride together in Israel’s Negev Desert. A wife who feels that her marriage has cooled off might try doing things for her husband that would bless his day, such as making him breakfast, buying him a small gift, or running an errand for him. Give something of yourself without expecting anything in return. This captures the Hebrew essence of the word love — an act of giving rather than receiving. A couple stands at the Ramon Crater in southern Israel’s Negev desert. True love is more than a cocktail of hormones and desire. It emanates from the soul. It is transcendent, linking our deepest self to God and those around us. 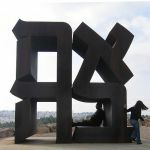 This demonstrates the soulful nature of love, one that is selfless and giving, the true love, true ahava. We see the connection between love and giving in the character of God, who emanates the truest love of all. Although none of us can out-give Adonai, we are definitely meant to emulate Him! Moreover, He has made love the highest of all commands. 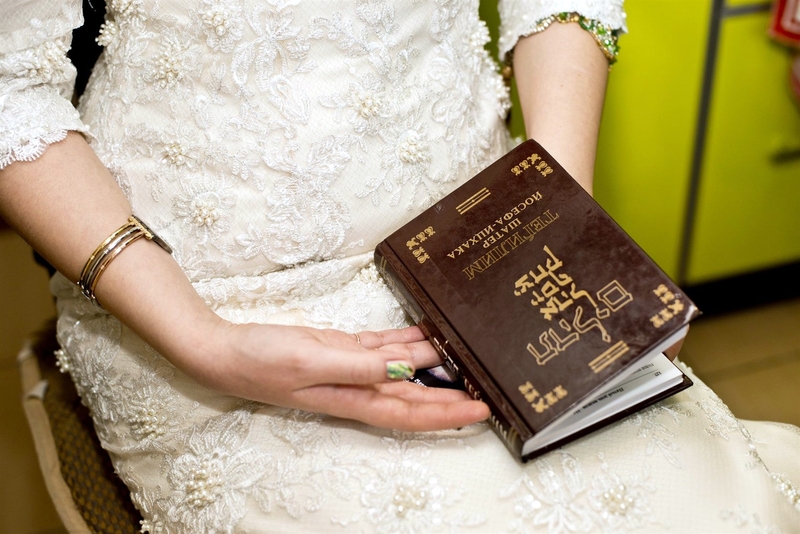 From the Jewish perspective, what does it mean to love one another? 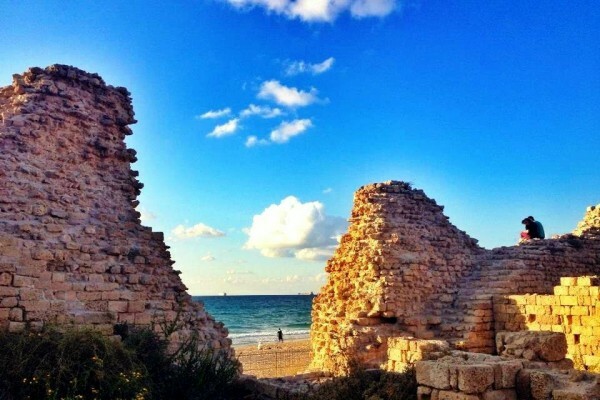 A couple sits together on an ancient wall in Ashdod, Israel, watching the sun go down. 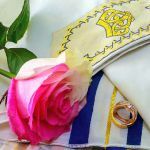 For many, Judaism is the religion of law and judgment while Christianity is one of grace and love. 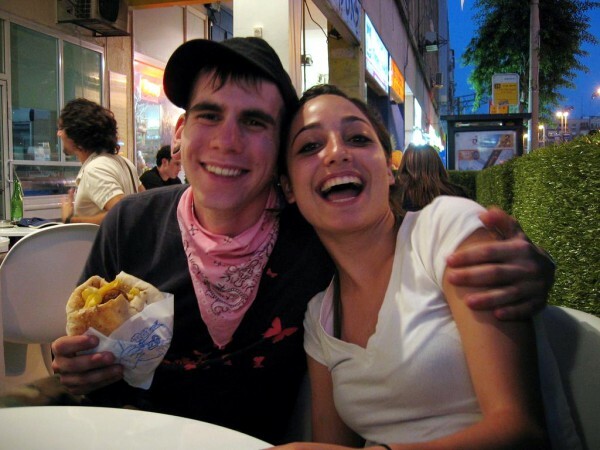 A couple has a bite to eat in Tel Aviv. 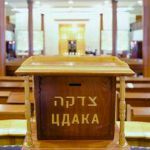 Laws commanding Jews to treat others with respect and love are so prevalent that the very word mitzvah (law) is interpreted as meaning the commitment of a good deed toward others. 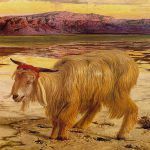 According to the Mishnah (compilation of oral traditions), there is no minimum requirement for g’milut chasadim, and the reward for it is received both in this world and in the world to come. 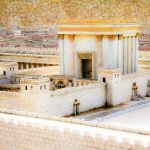 Rather than treating love and brotherhood simply as a lofty ideal, Judaism specifies in detail how to carry it out. A Jewish man studies at a Yeshiva (Orthodox Jewish seminary) in Jerusalem. 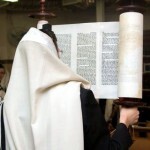 All of the commandments in the Torah (first five books of the Bible) describe how to love one another and God. In addition to the most basic of the Ten Commandments that we shall not kill, there are commandments that specify that we not harm others through shoddy construction of homes, to not leave a stumbling block in the way, or to help those whose lives are in danger if it will not endanger our own lives in doing so. Traditionally, all other commandments may be suspended when a life is at stake. 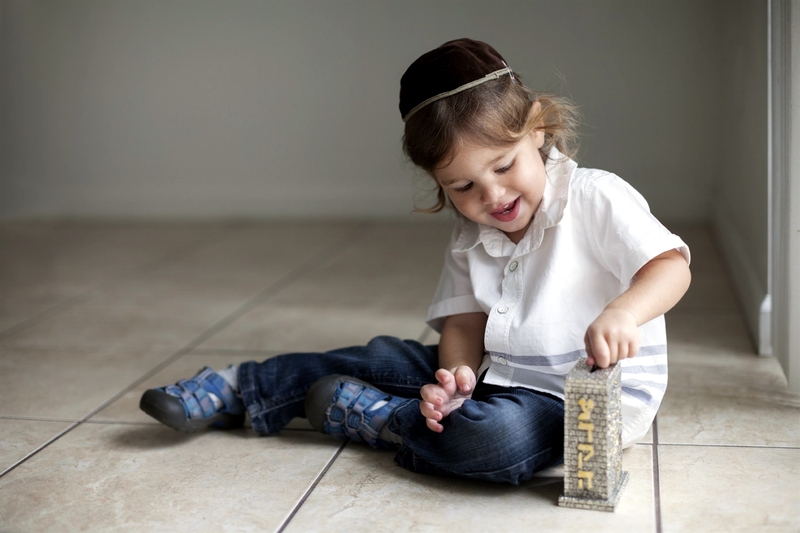 A Jewish boy puts money in the pushke, a box kept in Jewish homes for collecting funds to give to the poor and other benevolence. 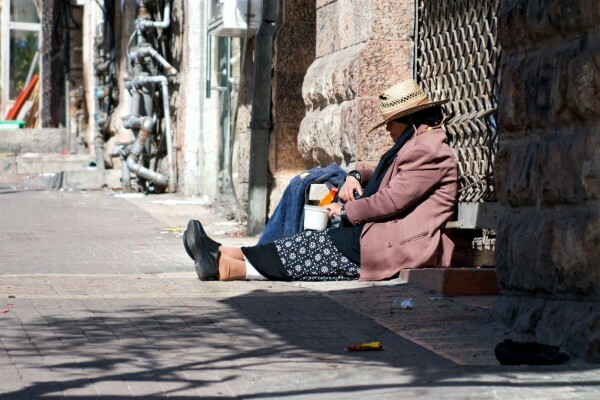 The Torah commands us to help others with their burdens and to give charity (tzedakah) to the poor. There are laws concerning business behavior — examples being not to use false weights or to defraud in buying and selling, and not to charge interest on a loan. We are told to pay the workman his wages on time and to allow the worker in the field to eat a portion of what he is harvesting. We are commanded to tell the truth about others and to not lie. And these laws also apply to the treatment of those who are not Jewish. All forms of love are elicited according to Jewish tradition, through study of Torah. 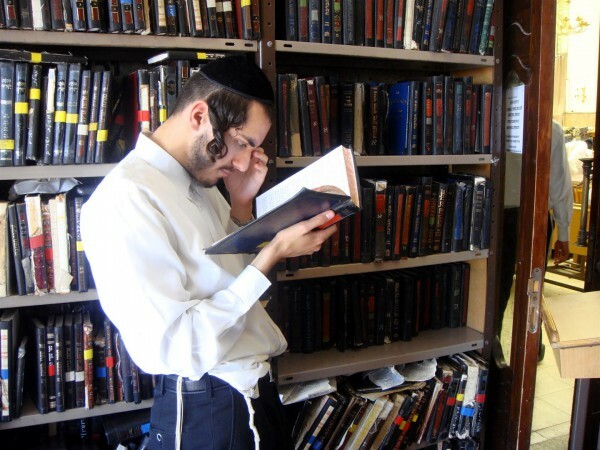 Orthodox Jews believe that the greater the devotion to study, the greater the love for God. 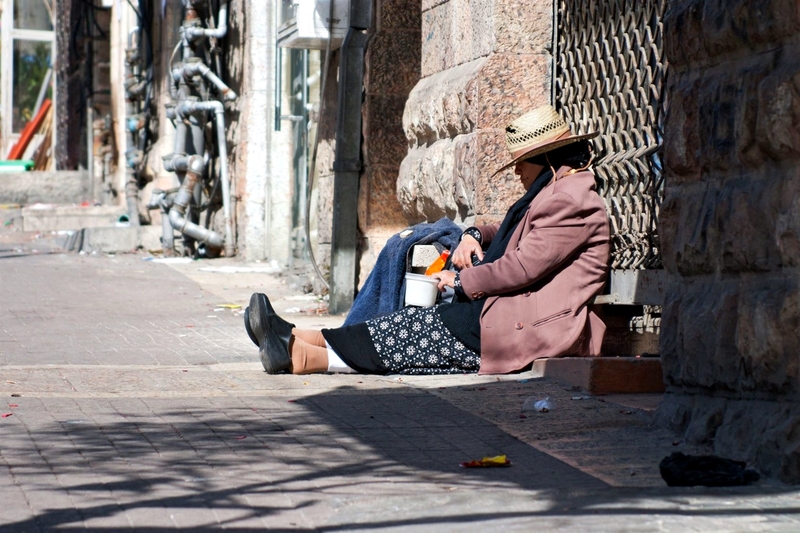 A woman begs in the Jewish Quarter of Jerusalem. According to Judaism, man can have several forms of love toward the God of the universe. One is called Ahavat Olam (Eternal Love). This type of love is aroused when one considers God’s greatness, in the sense that the entire universe is as nothing when compared with Him. It is also the title of a prayer often spoken in the evenings. Another form of love is called Ahava Raba (Abundant Love). 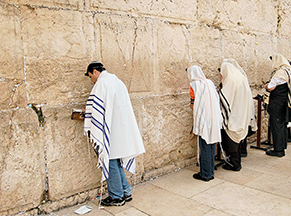 This love for God is deeply rooted in the Jewish soul and is unwavering. It is also the title of a morning prayer expressing thanks to God for His love in giving the Torah to the Jewish People and making them a Chosen People. The entire Morning Prayer service is designed to encourage the contemplation of God and to be changed to such a degree that we manifest His love and will in our lives. 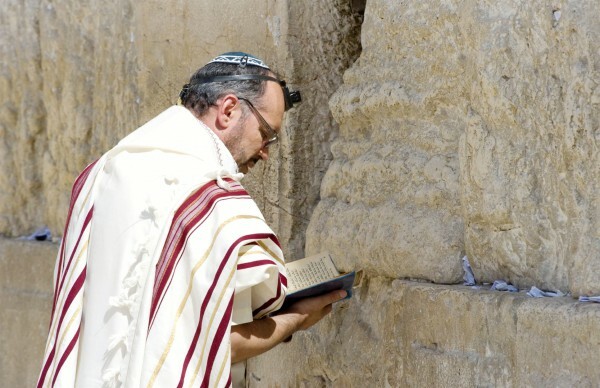 A Jewish man recites morning prayer (Shakharit) in Jerusalem at the Western Wall. 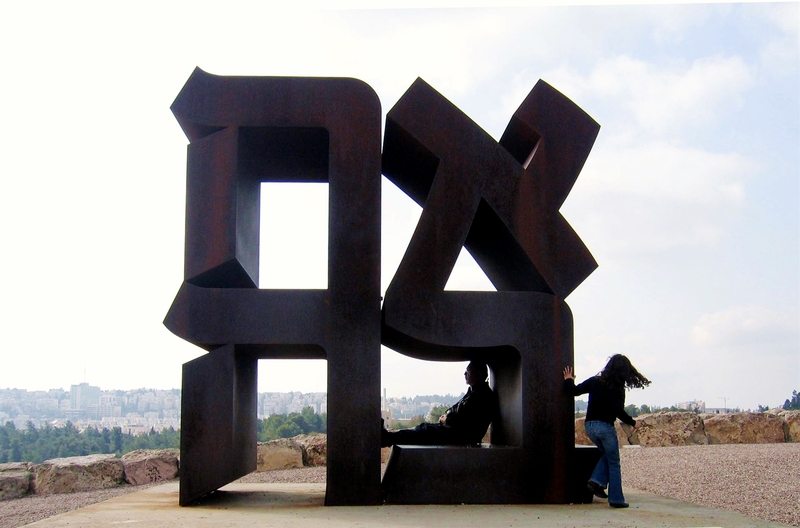 And so we see that Hebrew language and literature speaks of several forms of love, both romantic and spiritual, both between a man and a woman and between man and God. We can understand God's intention for love by looking at it in His holy language (lashon hakodesh), Hebrew, and in Scripture.